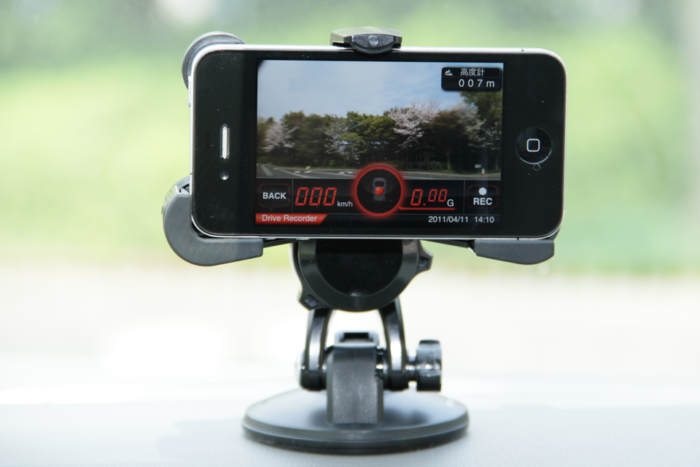 Installing a dashcam is an easy process, it usually takes less than 5 minutes to set up and start using. 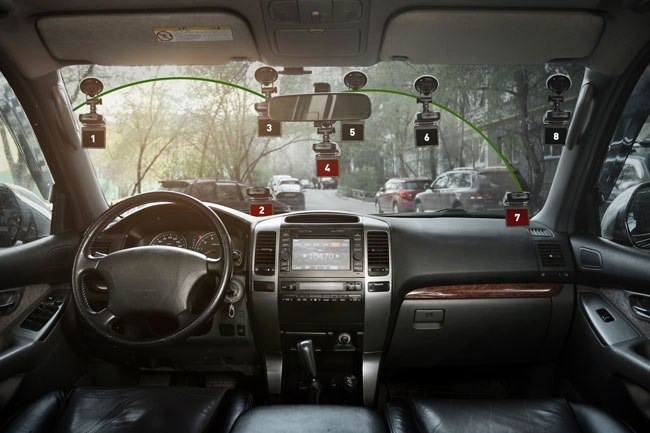 Most dash cameras are attached to the windshield with its own adhesive holder or suction cup. It is important to check before installing the adhesive stand because it is difficult to remove. The power cable must be routed around the windshield. This wire is then connected directly to the 12V charger for power supply. In some cars, this will be activated as soon as the cable is installed, while other cars require the ignition to be turned on. If your car’s 12V socket is always on, make sure to pull out the cam dash when not in use to prevent drying of the car’s battery. We always recommend pulling out a dash cam every time when you leave a vehicle. Because it can attract thieves’ attention. When the camera receives power, it will usually turn on and start recording automatically. Of course, if you have a microSD card inserted. The position and direction of the car dashboard camera are very important. Incorrect position can be very dangerous and violates the law. The law of installing a dash cam will be different depending on where you live. However, there are a number of things you should know before putting a dash cam. 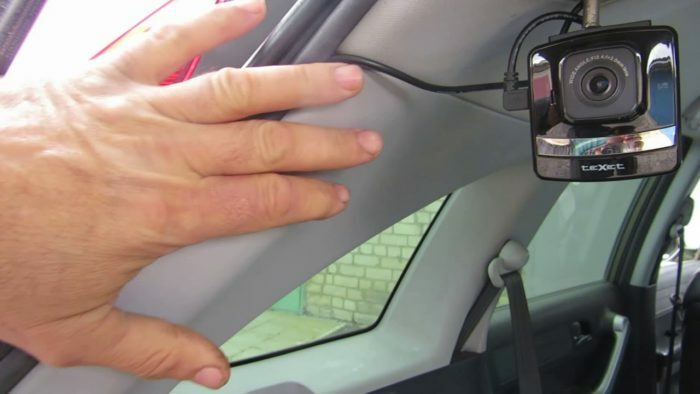 When installing a dash camera, it is very important not to obstruct the driver’s vision. 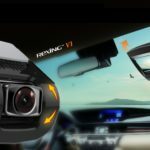 For most people, installing a car camera behind the rear view mirror is the best choice. It should also be noted that some dash cam is designed to pass through the rearview mirror. For easy installation and unobstructed vision. Places marked in red are not recommended for installation. There is nothing wrong with entrusting the technician to attach the dash cam to your car. However, if you want to install it with yourself, it is better to pay attention to what should and should not be done in the tips above. Follow these instructions to install a dashboard camera in your vehicle, by tapping your vehicle’s power supply. This is a hard cable, but it’s not hard to do! To make work quick and easy, by using the dash camera installation kit in this procedure. For example, you can use Rexing Mini-USB or Meknic Dash Cam Hardwire Kit. The main idea that you need fuse with soldered wire. WARNING: qualified individuals or businesses must do this installation. Working with a vehicle power system can be dangerous for you and your vehicle if you don’t know what you are doing! If you are in doubt, please consult with a professional. Sit in the driver’s seat in your vehicle. It’s best to place the dashcam in the reach of your armrest, but don’t place the dashcam in a location that blocks your view of the road ahead. 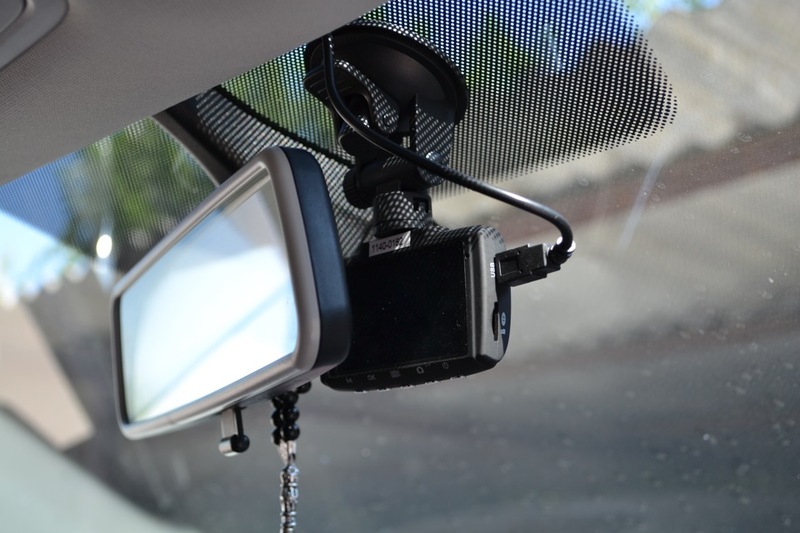 In this example, customers have chosen to place their dashcam immediately under the rearview mirror. 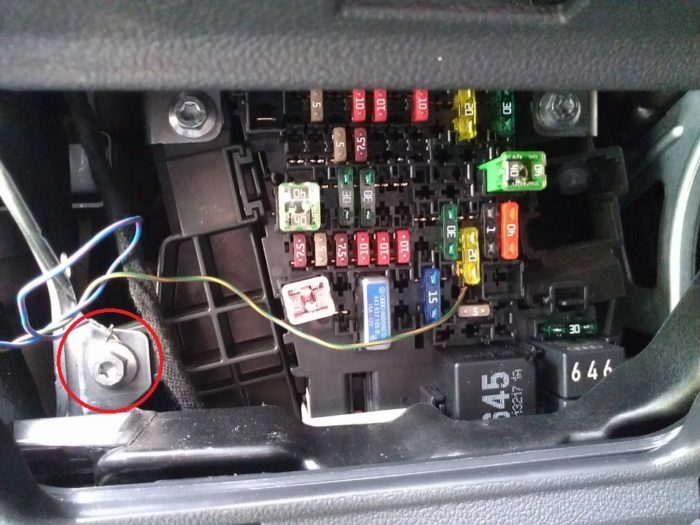 Because we run the power cable from the dashcam to the fuse box, we need to know where the fuse box is. Most vehicles have a fuse box under the dashboard on the driver or passenger side. In this case, to access the fusebox is under the steering column (behind the removable panel). 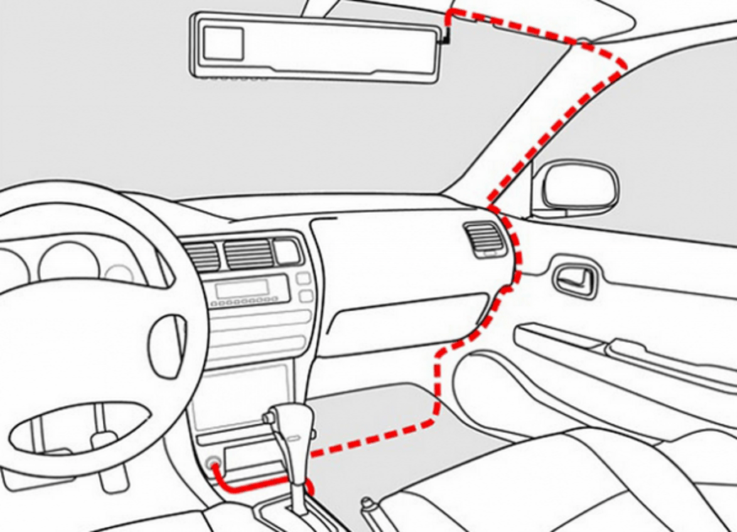 Consult your owner’s manual for the location of the fuse box in your vehicle. 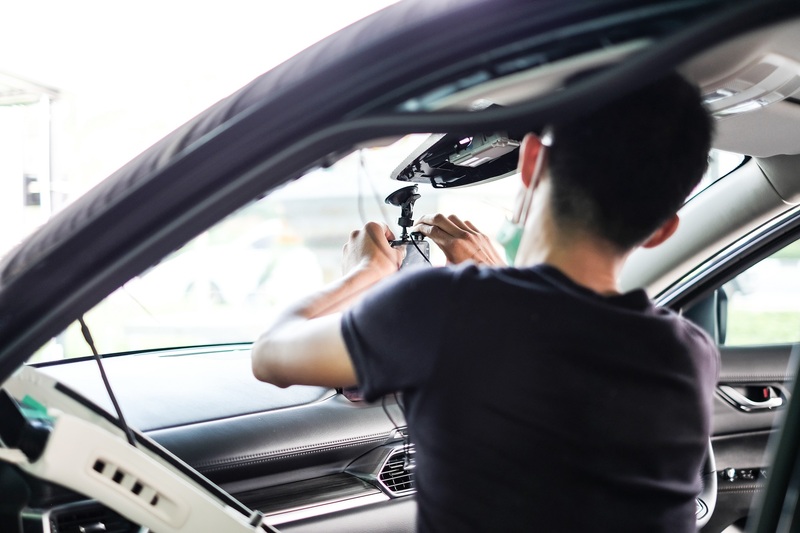 Starting from the dashcam, install the power cord roughly where it will run hidden behind the vehicle’s interior panel. This gives you an idea of where to direct the cable and how much slack is left when heading to the fuse box. We started by tucking the power cord into the headliner. In most cases, just pulling on the rubber trim along the A-pillar shows a gap where the power cable can be run from the headliner to the fuse box. 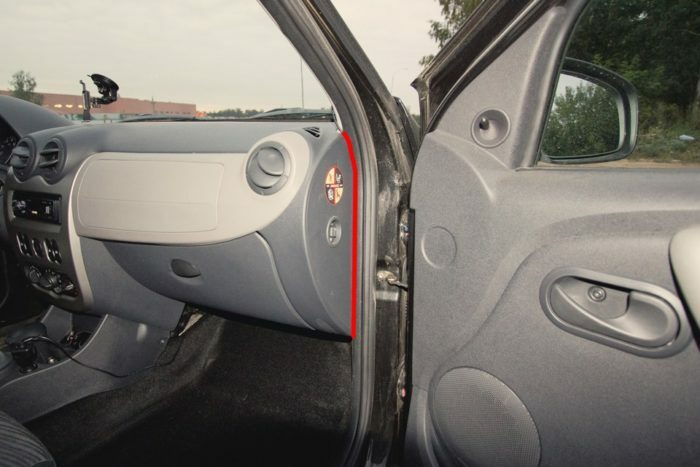 In rare cases, it may be necessary to remove the A-pillar cover which will allow complete access to this area of the vehicle for routing electrical cables. Many A-pillar covers can be opened just like that. However, take a look at your vehicle’s technical manual or consult a professional if you are unsure how to remove the interior panel. Slide the power cord next to the cable in the A-pillar. Route the power cord around the sides and behind the interior panel towards the fuse box. In general, vehicle fuses may have power at all times (always hot), or only when the vehicle is running (hot at the start). In order for the dashcam to turn on automatically when the vehicle is running, and turn off automatically when the driver turns off the vehicle. We will connect our additional circuit kit to the “hot in start” fuse. 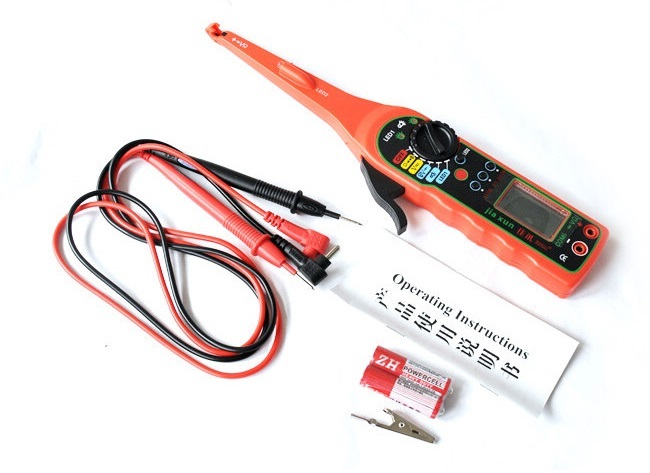 To identify which fuses are starting to heat up, we use a simple circuit tester that lights up when power is present. You must use a circuit tester to ensure there is no power on the fuse when the ignition is off. The power is only available when the ignition is turned on. Make sure the key has been removed from the ignition. Using a fuse puller or pliers, gently remove the fuse that you identified in step 4. Install the fuse that you just removed into the installation add-a-fuse kit circuit. Plug the add-a-circuit into the empty spot where your “hot in start” fuse was original. The other end of the installation kit cable must be connected to your vehicle. 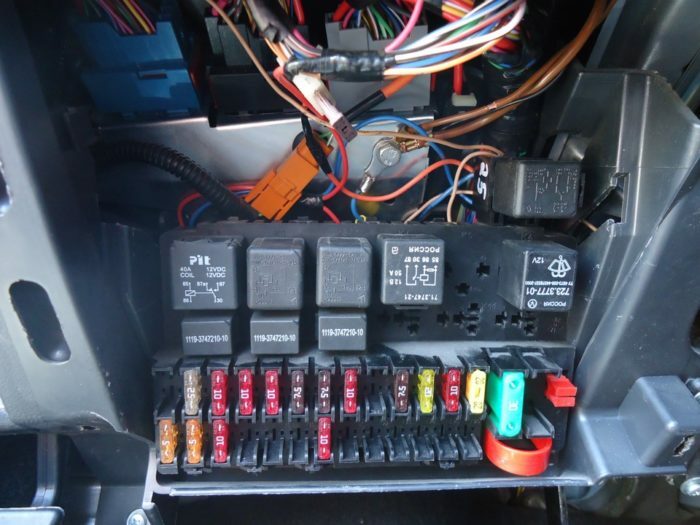 Most cars have at least one clear ground point near the fuse box, as shown in the image below. The bottom kick panel has been removed to access this base point. Remove the screw and add ground lug from the installation kit. Put your key in the ignition key and turn it to the on position. If everything is installed correctly, you will see your dashboard light up and start recording! At this point, you can continue and reinstall all the removed interior panels to facilitate running the power cable. What Happens When Storage Fills? If you’ve ever used a portable recording device, whether it’s a cell phone, a digital camera, or whatever, then you might see what happens when the storage media is filled. The device stops recording if storage is full, and you must free up space or insert a new memory card if you want to continue recording. This will be a problem on large dash cameras. After all, this camera records all the time. Even if you use a large SD card for storage, it will eventually fill up, right? 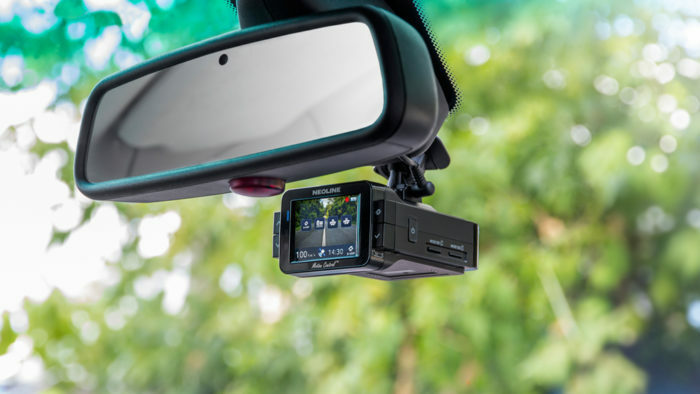 Unlike general purpose recording devices, dash cameras will usually be designed to automatically overwrite the oldest files when the media is fully loaded. Incorporating this feature might not be good for a digital camera or iPhone. Because it might accidentally delete something you really want to save, but it works fine for monitoring devices. What are the Available Dashboard Alternatives? 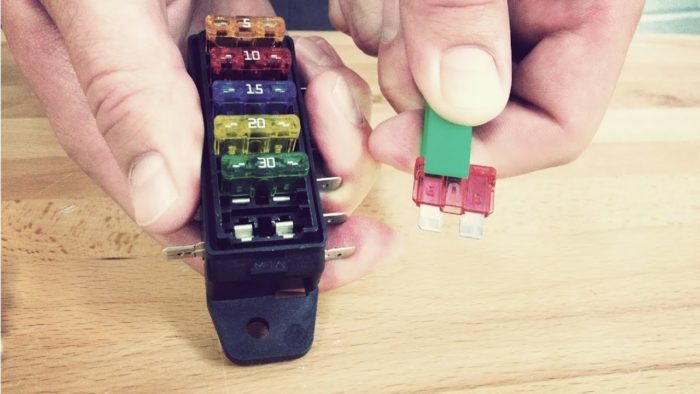 If you don’t want to connect the camera to your car’s electrical system, or you can’t afford it, then there is an alternative that can be done. 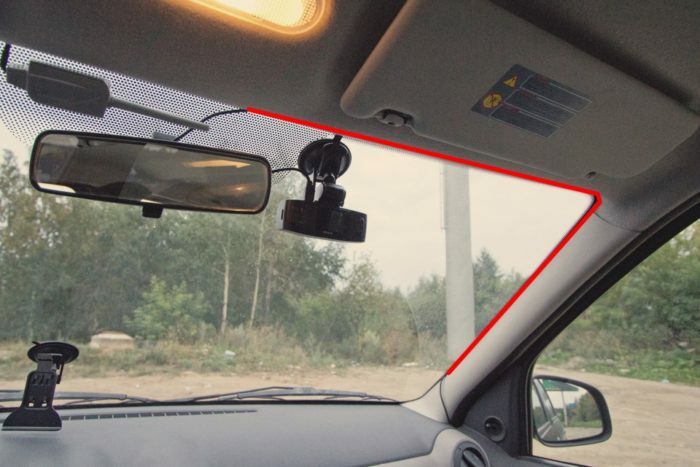 It is important to remember that this alternative does not have a convenience feature built into the dashboard camera, but that may be an alternative that you want to implement. For example, there are applications that can turn an iPhone, Android device, or another smartphone into a dash camera, even though this is still not really a “set and forget” solution. Make sure the camera is in your windshield wiper compartment: This allows the camera to see the scene in front of you during rain, ice or snow. Installing the camera facing back this way because the suction cup will not hold up because of the rear window defroster cable. If you install the camera upside down, consider turning off the timestamp on the screen if the options menu gives you that choice. Tripod mount: If your camera has a standard tripod stand and the suction cup cannot be used, any tripod mount will work. The rear window with a defroster cable will not hold the suction cup, so by making your own stand with an aluminum rod. Again, you can install the camera upside down if necessary. Turn on / off: most install a dash camera with the aim of turning off when the car stops and turning on when the car is running. You can permanently connect the camera to the 12-volt circuit that you use to power the rest of your things (inverters, battery chargers, streaming streams, etc.). This frees your cigarette lighter outlet from the clutter of permanently installed device cables. 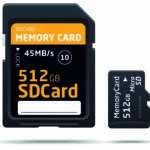 Use the biggest and fastest memory card: Class 10 memory cards are a must. Slower cards can cause file errors, and take a long time to copy them to the computer. Disable event detection: The event detection function will protect the current video segment if something disturbs the g-force sensor. It has the purpose of protecting video files that catch accidents or other events that can damage. Hope this guide helps you!